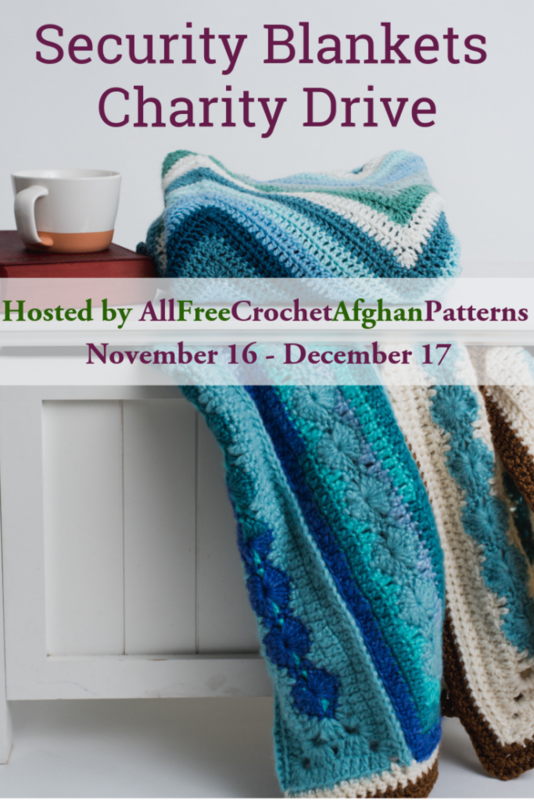 From November 16 – December 17, 2018, AllFreeCrochetAfghanPatterns.com  hosted a Security Blankets Charity Drive. We partnered with Project Linus , an organization that donates handmade blankets to sick and traumatized children across the country. Lorna’s Laces , a Chicago-based yarn company, sponsored the drive. 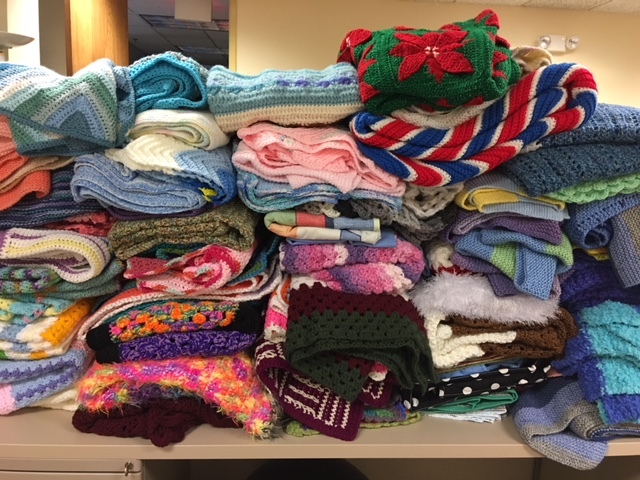 Prime Publishing received 111 handmade blankets from nearly every state in the Union, thanks to AFCAP’s generous and talented readers! As editor of AllFreeCrochetAfghanPatterns.com,  this charity drive was my first at Prime! I didn’t know quite what to expect, given blankets can take a while to make. But the blankets just poured in! Most security blankets were crocheted. But many were also knitted and sewn, with a few tied fleece, as well. I’m so beyond grateful for Prime’s community of crafters! 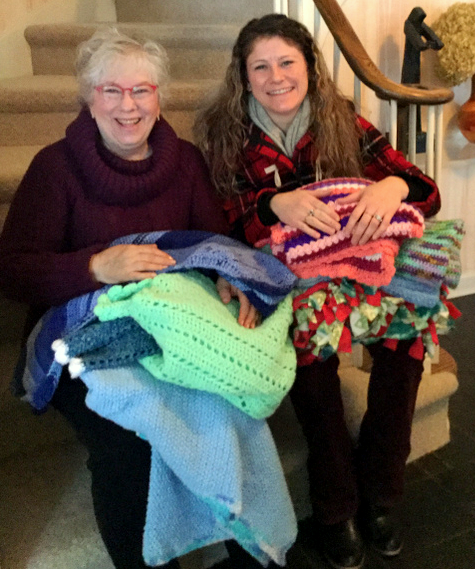 I worked closely with one of Project Linus’ local chapter coordinator’s, Judi Goldman (pictured). Judi, who has run the North Chicago, IL chapter for decades, has facilitated disbursement of many of its over 170,000 blanket donations. I also collaborated with the incredibly talented crochet designers from the blogs UndergroundCrafter.com  and CypressTextiles.net. These kind crafters created original patterns especially for AFCAP to use in promoting the drive. They are supremely marvelous people and I highly recommend you check out their blogs! AFCAP hosts many of their free patterns, as well. As an added bonus for the crafters who donated blankets, each was entered to win a beautiful yarn bundle giveaway from Lorna’s Laces worth $50! Certainly, we at Prime are so grateful for Project Linus! And we cannot wait for next year’s blankets drive!